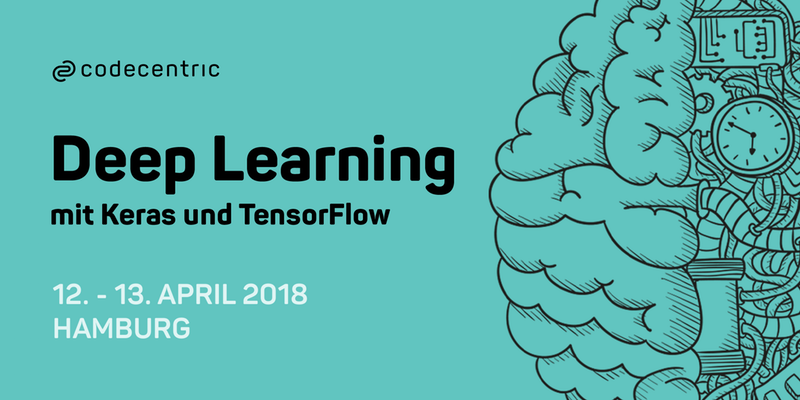 Registration is now open for my 1.5-day workshop on deep learning with Keras and TensorFlow using R.
It will take place on July 5th & 6th in Münster, Germany. Big Data – a buzz word you can find everywhere these days, from nerdy blogs to scientific research papers and even in the news. But how does Big Data Analysis work, exactly? In order to find that out, I attended the workshop on “Deep Learning with Keras and TensorFlow”. On a stormy Thursday afternoon, we arrived at the modern and light-flooded codecentric AG headquarters. There, we met performance expert Dieter Dirkes and Data Scientist Dr. Shirin Glander. In the following two days, Shirin gave us a hands-on introduction into the secrets of Deep Learning and helped us to program our first Neural Net. After a short round of introduction of the participants, it became clear that many different areas and domains are interested in Deep Learning: geologists want to classify (satellite) images, energy providers want to analyse time-series, insurers want to predict numbers and I – a humanities major – want to classify text. And codecentric employees were also interested in getting to know the possibilities of Deep Learning, so that a third of the participants were employees from the company itself. Keras is a high-level API written in Python for building and prototyping neural networks. It can be used on top of TensorFlow, Theano or CNTK. Keras is very convenient for fast and easy prototyping of neural networks. It is highly modular and very flexible, so that you can build basically any type of neural network you want. It supports convolutional neural networks and recurrent neural networks, as well as combinations of both. Due to its layer structure, it is highly extensible and can run on CPU or GPU. The keras R package provides an interface to the Python library of Keras, just as the tensorflow package provides an interface to TensorFlow. Basically, R creates a conda instance and runs Keras it it, while you can still use all the functionalities of R for plotting, etc. Almost all function names are the same, so models can easily be recreated in Python for deployment.